Our professional carpet cleaning services can efficiently and effectively prevent allergens, pollens, pollutants, all smells (tobacco smoke) fungus, dirt, eradication of insect infestations (Eco insecticide) and germs from building up in your carpets and upholstery, a necessity of a “clean filter for life”. It is recommended that you should consider having your carpet professionally cleaned at least twice a year, however if you have just moved in or have not had a professional cleaning for some time consider doing so right away. If you have several active young ones that come in and out of the house on a consistent basis, you may even want to hire a professional carpet cleaning company more than twice a year. Professionals can easily remove tough stains like dirt, grass, and spills and traces of faeces. Aside from the better techniques that professional carpet cleaners use, another advantage to hiring such a service is that they know how to deal with many different types of carpet. You may understand how to vacuum your carpets once a week but do you know what types of fibres your carpets are comprised of? And what’s the best way to clean them? Asking a professional carpet cleaner will get you your answer!. Professional carpet cleaning services will know exactly what your carpet needs.You may have acknowledged that the carpet is dirty, but have no real sense of just how dirty. During the consultation, or morning of the professional carpet cleaning, the carpet technician will be able to determine what level of cleanser, machine, and techniques that he or she will need to use. If the time has come for you to hire a professional carpet cleaning service, talk to your friends, family, and neighbours for a good recommendation. 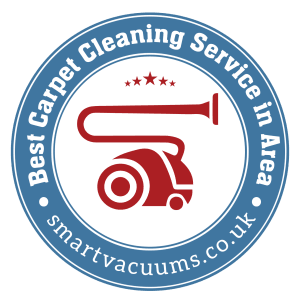 At Carpet Doctors we offer a free consultation and quote which is a great way to be able to incorporate the professional carpet cleaning into your budget. Carpet cleaning can end up saving you a lot of money, by allowing you to avoid the replacement of all your rugs or carpets!